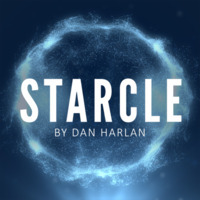 Today, when you order "Starcle by Dan Harlan", you'll instantly be emailed a Penguin Magic gift certificate. You can spend it on anything you like at Penguin, just like cash. Just complete your order as normal, and within seconds you'll get an email with your gift certificate. I performed Starcle at my dad's funeral and everybody cried (including me) because it was so beautiful and because of the special patter I wrote for the occasion. This routine is very close to my heart because of that occasion and I thank Dan for that! Every chance I get, I always perform Starcle, and you will too!!! 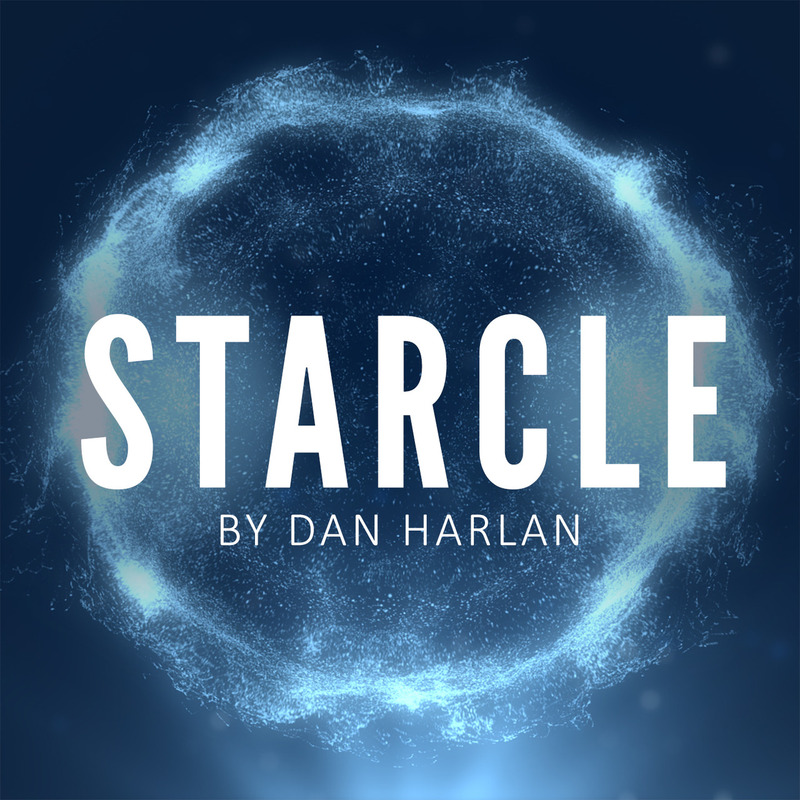 Gone through tons of paper towel this morning working on Starcle by Dan Harlan and Penguin Magic. Works beautifully with paper towel with a square and if you use the ones with the half tear line down the middle you have a perfect mid line. Also gives you an easy point of reference for the folds with the quilting design on the towel and rips easily but is also strong with a little more weight which makes the folding much easier and the paper holds the creases better. Obviously better to do this with a borrowed napkin for impromptu work but for stage work these squares are easy to set up each time, the perfect size and readily available. I'm getting zero for this. I bought it, I love it and just wanted to share my ideas. Don't hesitate! Purchase this today! YOU WILL DO THIS IMPROMPTU ALL THE TIME WITH ZERO SETUP. AMAZING!!!! Thank you, Mr. Harlan. You have made this 64-year-old hobbyist magician very happy. 15 of 17 magicians found this helpful. I learned this from Dan several decades ago when we were both younger. 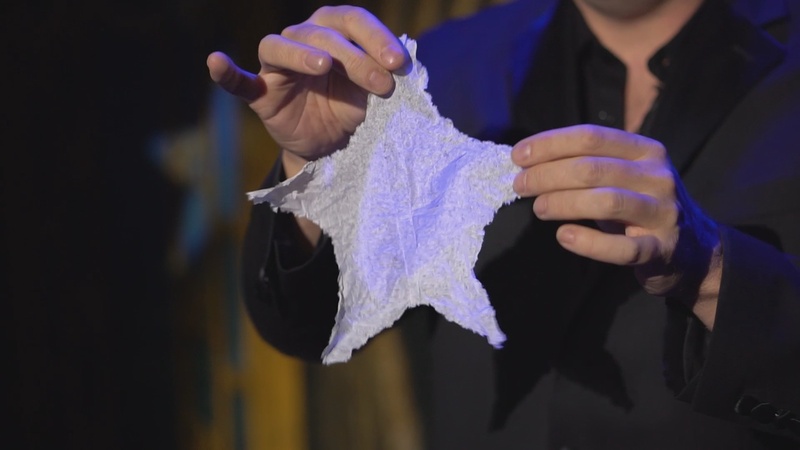 The trick is perfect when you're at a bar or anyplace that has cocktail napkins handy. There's no preparation, and you're clean at the end as well. Between this and a paper rose you can enthrall without appearing to be doing cheesy tricks. 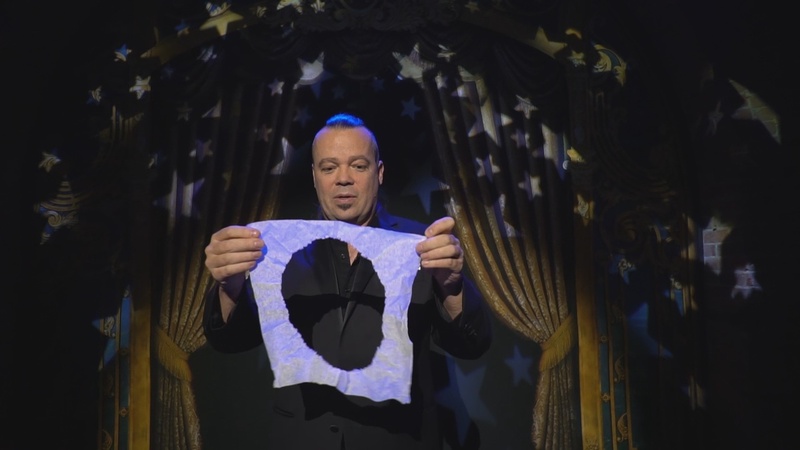 Though the concept and story is intriguing, the folding is a little tricky. I haven't had sufficient time to practice it yet, but the first time I tried it, the circle came out right, but the star was inverted! 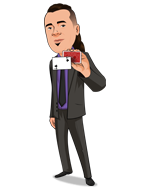 The effect and patter elevate our art beyond jokers and bar bets. However is it the explanation where Dan really shines. He's had decades to shape his words to teach this. Who else would explain the three types of napkins one might encounter, how to handle each, while demonstrating the trick with each? He does the effect perhaps ten times, sometimes in full, sometimes deconstructed. Highly recommended whether discounted or not. So, I downloaded this yesterday and thought it would be a while before I left a review, although it was obviously really amazing! I went out and got the napkins recommended to practice with. I watched the video and found I was able to do it right on the first try. I tried it about 10 more times, then showed my 9 year old son. He is my 1st guinea pig for everything, so sometimes he is simply not in the mood to watch something new, especially when Sponge Bob is on, like now. so, I quickly showed him the effect, without the patter. I haven't seen a trick make his face lighten up that bright in a LONG time, and that was just when I showed the circle! When I took the piece back from him and opened the star, he freaked out! This will work for family shows and adult shows, I'm sure. I can't wait to put this in the act. I pretty much only do "packs small plays big magic" anymore and this is A PERFECT example! Thanks, Dan! 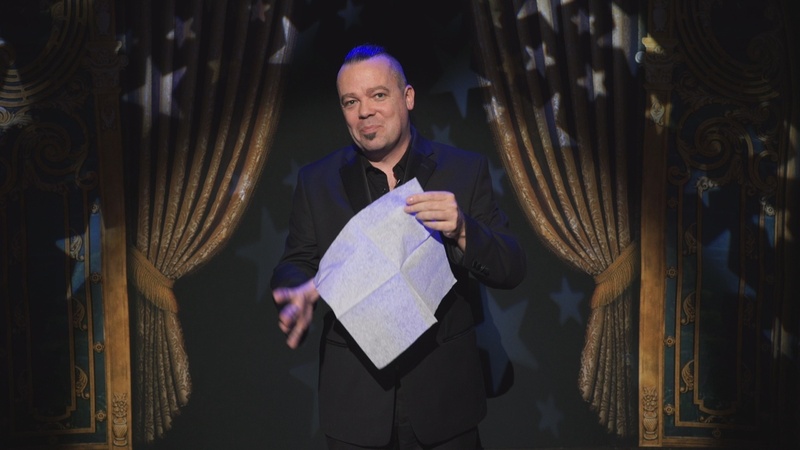 Simple, easy to perform, no prep work and a great little story to use, but you can easily adapt it to your own. Mr. Harlan has come up with a beautifully simplistic and artfully done masterpiece that can instantly be adopted to just about any act. I'll be using this for years to come! Super. The best you have ever shared. I do not know why you waited so long to show it.